The oldest document that refers to ancient Freemasonry is the Regius Poem, or Halliwell Manuscript. James O. Halliwell discovered an ancient manuscript in the archives of the British Museum in 1838. Scientists have concluded from the type of parchment, language, and lettering that this document was written in approximately 1390 A.D. The poem consists of 794 lines of Old “English verse and covers several subjects, most directly applicable to Freemasonry. While this manuscript was probably written in the 14th century, it refers to a period of Masonic history in England in the late 10th century. It relates the Legend of York, which follows below and is the basis for the prominence the city of York has occupied in Masonic lore since the first millennium. Regulations for the government of the craft are included in the poem, as are fifteen articles and fifteen points dealing with ethical, moral and spiritual responsibilities of the ancient craftsmen. These are as applicable to us today as they were 1000 years ago. Athelstan, the grandson of Alfred the Great, ruled England from 924 to 940 A.D. He completed the subjection of the minor kingdoms in England, begun by his grandfather, and has been hailed as the first King of all England. The Regius poem and other ancient legends relate that Athelstan was a great patron of Masonry, and that he constructed many abbeys, monasteries, castles, and fortresses. He studied Geometry and imported learned men in these arts. To preserve order in the work and correct transgressors, the king issued a Charter o the Masons to hold a yearly assembly at York. He is also reputed to have made many Masons. The legends proceed to relate that Athelstan appointed his brother, Edwin, as Grand Master and that the first Grand Lodge was held at York in 926. The accounts state that the constitutions of English Masonry were there established and were based upon a number of old documents written in Greek, Latin and other languages. Aside from the direct implications of this legend, it is interesting to note that the King and Prince were patrons of Masonry and as such were probably speculative, rather than operative members of the craft. The fact that this concept prevailed as early as 1390 A.D., and possibly earlier, makes is easier to account for the fact that so many speculative members of high rank joined the craft in the 17th and 18th centuries. What is the Chapter or Royal Arch Masonry? The Royal Arch Chapter is the second of the four York Rite Bodies of Masonry (the first is the Symbolic Lodge, where the first three Degrees of Masonry are conferred.) Chapters confer four degrees: Mark Master, Virtual Past Master, Most Excellent Master, and Royal Arch. Royal Arch Freemasonry provides an outstanding opportunity for Master Masons desirous of Further Light in Masonry to explore some of the deeper mysteries of the Craft. The four degrees of the Chapter are truly some of the most profound and impressive within the whole Family of Freemasonry. Most impressive of all is the Royal Arch Degree itself. It is here that the True Word of a Master Mason is rediscovered in a beautiful ceremony that takes the candidates through the destruction of King Solomon’s Temple, the seventy years of the Babylonian Captivity, and the ultimate return to the Holy Land to help, aid, and assist in the rebuilding of the Temple of the Most High. "Pure Ancient Freemasonry consists of but three degrees and three degrees only, namely, that of Entered Apprentice, Fellowcraft, and Master Mason, including the Holy Royal Arch." The preparatory Degrees conferred in the Chapter are those of Mark Master Mason, Past Master and Most Excellent Master. All are beautiful, all are interesting, all teach valuable lessons, but the Most Sublime Degree of Royal Arch Mason is more august, sublime and important than all that precedes it. It brings to light many essentials of the Craft contained ONLY in this Most Sublime Degree and explains many cryptic passages of the first three Degrees incomprehensible to the Master Mason. Without knowledge of these the Masonic character cannot be complete. It has been said that "The Royal Arch stands as the rainbow of promise in the Ritual; it stands as the promise of the resurrection; of that which was lost and that which shall be recovered." All who are Exalted to that Most Sublime Degree, particularly by those who are seeking ·to complete their Masonic education; will justly appreciate the value of Royal Arch Masonry. It reveals the full light of Ancient Craft masonry, presents it as a complete system in accordance with the original plan and confers at last the rights and light of a Master Mason in fact as well as in name. It truly leads to a fuller understanding of the purposes and spirit of Freemasonry, for standing upon this towering summit we are able for the first time to perceive the completeness of the Ancient Craft and to understand how all its forms and ceremonies, from the Entered Apprentice to the Master Mason's Degree, are the preparation for the final goal, the Most Sublime Degree of Royal Arch Mason. The antiquity of Mark Masonry cannot be doubted. Operatively considered, and even Speculative, it has enjoyed special prominence for centuries, records of the custom of the adoption of Marks by theoretical brethren according to existing records dating back to the 8th day of June, A. D. 1600. Mark Masonry formerly consisted of the degrees of Mark Man and Mark Master Mason. These degrees, in the sense given to the word "degree," were wholly unknown to the Operative Freemasons of the Middle Ages. They were undoubtedly invented and put into working order in Scotland. That they were founded upon the custom established by the Operative Freemasons of Cologne and Strasburg and later introduced into other countries of Europe, in requiring the selection and registration of Marks, is clear. "-now it is holden forth by tradition that there was a tumult at this Errection which should happened betwixt the Laborers and masons about wages and for to call me all and to make all things easy the wise king should have said be all of you contented for you shall be payed all alike yet give a signe to the Masons not known to the Laborers and who could make that signe at the paying place was to bayed as masons the Laborers not knowing thereof was payed as foresaid- this might have yet if it was so were to Judge very Mercyfull on the words of the wise King Solomon for it is to be understood and also believed that the wise king meant according to every mans deserving-"
The story of the Temple origin of the Mark Master Degree is a myth, as is the legend of the Third degree. From all we know about the time of origin of the Mark Degree, we are led to believe that it was invented or fabricated later the Third or Master Masons Degree. The Mark was and is directly associated with both Operative and Speculative Freemasonry and from time immemorial it has been the custom for the skilled craftsman to chisel his distinctive Mark on stones fashioned by him, so as to indicate his workmanship. The existence of proprietary marks on European Buildings may be traced as far back as the 10th century. The Greek artists who introduced the Byzantine style of architecture, for which the Freemasons afterwards substituted the Gothic, probably brought them over at that time. But it was not until the 15th century that we were furnished with any historical evidence that there was an organized systems of laws by which the imparting, owning, and using of these marks was regulated. The Mark degree is important because it is the connecting link between operative and speculative Masonry. As early as 1599 we find that non-operative Masons were admitted to operative Mark Lodges. What this ceremony consisted of no one knows. There may have been some moral teachings connected with it. The records hover; merely show the payment of a fee and the registering of a Mark. The early history of the degree in what is now the United States is very similar to that in the other countries and is very meager. It was conferred in Lodges as part of the Lodge work as was the Most Excellent and the Royal Arch. Apparently Lodges worked the degrees as an inherent right and not under the authority of a charter. Ohio was no different in its practices than the rest of the country. Almost as soon as Marietta was settled, American Union Lodge was opened. This Lodge was originally a military lodge warranted by the Grand Lodge of Massachusetts in 1776. After the close of the war and the dissolution of the Army the warrant was in possession of the Master, Jonathan Heart, who carried it to Fort Harmar, near Marietta, where he was stationed. Under this warrant American Union Lodge was opened in Marietta in 1790. Unlike many of the early Masonic Bodies American Union Lodge did keep fairly complete minutes, which have been preserved. From these minutes we learn the American Union Chapter, under the aegis of American Union Lodge, began holding meetings in 1792 and conferred all of the degrees although the minutes refer to them as steps rather than degrees and do not mention them by name until 1797. The degrees were the Past Master, Mark Master, Most Excellent Master and Royal Arch. With the organization in 1797 of what eventually became known as the General Grand Chapter and with the forming of Grand Chapters, the degrees of Mark, Past, Most Excellent and Royal Arch came under the jurisdiction of Chapters operating independently of Symbolic Lodges. The Degree of Mark Master is a continuation of the lessons taught in the 2nd (Fellowcraft) Degree. The Degree teaches that although we are often misunderstood, underrated and traduced, there is ONE who will make the rejected stone the Head of the corner. The Mark Master Degree is based on the ceremony of registering a craftsman's mark in those years distinguished by operative craft masons and their temple building. Some scholars say it may be one of the earliest Masonic degrees. The candidate for the Mark Master Degree represents a humble laborer in the quarries of King Solomon’s Temple. This degree expands on the lessons of charity first introduced in the Entered Apprentice Degree and developed further in the Master Mason Degree. It also encourages the thoughtful student of the Craft to be true to his heart and be ever willing to stand up for what he knows to be right, even if that position is unpopular. The degree of Mark Master teaches us to discharge our several duties punctually and with precision, the duty of assisting a distressed brother is forcibly illustrated. Historically the degree illustrates the process by which the work on the temple accomplished by each craftsman was identified. The Degree of Virtual Past Master teaches that before one can rule, he must learn to obey; before one can govern others, he must learn to govern himself. This Degree is part of the Royal Arch Chapter because originally only Past Masters were allowed to receive the Degree of Royal Arch. This Degree therefore fulfills that requirement. The Past Master Degree came into being because the degree of Royal Arch was originally conferred on actual Past Masters only. The (virtual) Past Master Degree was instituted to make it possible for all worthy Brethren to receive the Royal Arch Degree. This degree confers no actual status as a Past Master upon the candidate, but it qualifies him for admission to the Royal Arch. The first record of its conferral is found in England in 1768. The Past Master degree came into being because originally the Symbolic Lodge only on actual Past Masters conferred the degree of Royal Arch. This restriction prevented many worthy brethren from receiving the full information of the degrees of Freemasonry. The degree of Past Master was instituted in order to conform to tradition and to make it possible for worthy brethren to receive the Royal Arch degree. The conferring of this degree by a Chapter gives a brother no rights as a Past Master in a Symbolic Lodge unless he has actually served as Master of his Lodge. The Most Excellent Master degree dramatizes the historical incidents of the completion and dedication of King Solomon’s Temple. This degree emphasizes the opportunity and obligation of Companions to disseminate light and knowledge to less informed brethren. The Degree of Most Excellent Master is a very beautiful and dramatic Degree. Here the Temple on which work was halted so dramatically in the 3rd (Master Mason) Degree is completed. The Most Excellent Master Degree is a product of American innovation. It was conferred in a Royal Arch Chapter as early as 1783 in Middletown, Conn. It is a most spectacular degree, and the pageantry with which it is conferred makes it one of the most colorful in all Freemasonry. It is the only degree that brings forcibly to our attention the completion and dedication of King Solomon's Temple; the very idea upon which all Masonic symbolism has been based. The Royal Arch Degree is the climax of Ancient Craft Masonry and Masonic Symbolism. It has been described as "the root and marrow of Freemasonry." It is the story of Jewish History during some of its darkest hours. Jerusalem and the Holy temple are destroyed, and the people are being held captive as slaves in Babylon. Here the candidate joins with his Brethren as they are set free from captivity to return home and engage in the noble and glorious work of rebuilding the City of Jerusalem and the Temple of God. It is during this rebuilding that they make a discovery that brings to light the greatest of all treasures in Masonry - the long-lost True Word of a Master Mason. All who are Exalted to that most sublime degree, particularly by those who are seeking to complete their Masonic education, will appreciate the value of Royal Arch Masonry. It reveals the full light of Ancient Craft Masonry, presenting it as a complete and unified system. No other degrees of Freemasonry are so intimately linked with the Blue Lodge or have so ancient and noble a history. These Degrees continue the education, which the Master Mason received in the Symbolic Lodge. Any Master Mason who wishes "Further Light in Masonry" should receive them. What is the Council or Cryptic Masonry? The Council of Cryptic Masonry is the third of the York Rite bodies. A man must have completed the Symbolic Degrees and have taken the Degree of Royal Arch before he can become a Cryptic Mason. Cryptic Masonry consists of three Degrees: Royal Master, Select Master and Super Excellent Master. They were formerly known as Councils of Royal and Select Masters. The Council of Royal and Select Masters, known as the Cryptic Rite, fills what would be a significant void in the complete story of the York Rite. The Degrees of Royal Master and Select Master are sometimes called the Degrees of Preservation. The Council Degrees are often referred to as "The Three Little Jewels" and are to many, the most appealing in all Masonry. While eminent Masonic scholars have frequently disagreed with the exact history of the formation of the Cryptic degrees, there is at least some general information on the degrees with which most Masonic historians will agree. It is on this information that we will concentrate here. The Cryptic Rite is "one of the smallest but one of the most important and certainly one of the most curious of all the rites," according to Coil's Masonic Encyclopedia. "Crypt" comes from a Greek word meaning "hide, conceal, or secret," and thus has come to mean a vault, cave, or other place of underground concealment. The Cryptic degrees are centered on stories involving a vault or crypt where certain treasures were hidden beneath King Solomon's Temple in Jerusalem for very specific purposes. Rob Morris, a very influential Mason in the 1800’s, first called them “Cryptic”. The origin of the Cryptic degrees were theorized to be invented in France together with the other degrees that were included in the Rite of Perfection, which later were collected into what is today the Scottish Rite, and that the Cryptic degrees were brought to America just like the Scottish Rite degrees by Stephen Morin from France in 1761. When the Supreme Council for the Southern Jurisdiction of the U.S. was organized in 1802 in Charleston, the degrees, which are now in the Scottish Rite, were organized, while some "detached" degrees, including the Royal and Select degrees, which had previously been given were now dropped. Some of those who had received these degrees then conferred them on their own and established Councils in the process. The Stuart theory is interesting and needs some explanation. The Stuart family ruled England starting in 1603, with a break from 1649 to 1660 after Charles II was executed by Parliament under Oliver Cromwell. The last Stuart to reign, James II, was forced to abdicate in 1688. After the Hanoverian family came to the English throne in 1714 with George I, the Stuarts invaded England in 1715 and 1745, by way of Scotland, which supported them, but both attempts failed. The Stuarts and their supporters lived in exile in France, which recognized their claim, and they continued to try to regain their throne for many years with the support of some in England. The Stuart exiles living in France in the early 1700's, sometimes called "Jacobites" from the Latin form of the name for James, were involved in Freemasonry. Some Masonic lodges in France and Italy were made up completely of Jacobites, and the grandson of James II, "Bonnie Prince Charlie" was definitely an active Mason. In 1745, the same year he attempted to invade England, he became the Grand Master of the Masonic Knights Templar, and also formed a Chapter of Rose Croix. The Jacobite Masons considered the death of Hiram Abiff to represent the execution by the English Parliament of Charles I, the father of James II, and the raising of Hiram Abiff to represent the coming restoration to the English throne of the Stuart Kings. The "Royal Master" was the Stuart claimant to the throne, who was called by some the "Pretender" to the throne (at first James II, then his son James III, and then the grandson, Charles), and the secret vault was the place where the Jacobites plotted their return to power. The "Select Masters" were the closest companions of the "Pretender.". The ritual of the Select Master's degree can easily be seen to be that of a secret political movement, if one believes this theory. The degrees of Royal and Select Master were not originally combined into one system, each having been conferred by separate parties and initially controlled by separate Councils. As near as may be determined from conflicting claims, the Select degree is the oldest of the Rite. It was customary to confer the Royal degree on Master Masons prior to the Royal Arch, and the Select degree after exaltation to the sublime degree. This accounts for the fact that control of the Cryptic degrees vacillated back and forth in many jurisdictions, even after the formation of Grand Councils. The Royal degree appears to have been developed primarily in New York under direction of Thomas Lownds, whereas Philip Eckel in Baltimore vigorously promulgated the Select. 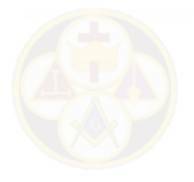 It is claimed by Eckel that Grand Council of Select Masters was formed in Baltimore in 1792, while it is definitely known that a Grand Council of Royal Masters (Columbian No. 1) was organized in 1810 in New York. It remained for Jeremy Cross to combine the two degrees under one system, which occurred about 1818, and this pattern was adopted in most jurisdictions as the degrees became dispersed beyond the eastern seaboard. The degree of Super Excellent Master is not allied to the other two degrees of the Cryptic Rite, so far as its teachings and traditions are concerned. The records of St. Andrews Chapter in Boston indicate that a degree of this name was conferred during the latter part of the eighteenth century. The earliest positive reference to the Super Excellent in connection to the Cryptic Rite is December 22, 1817, when Columbian Council of Royal Masters in New York organized a “Lodge” of Super Excellent Masters. The incidents, teachings, and ritualistic format of the Super Excellent degree bear no resemblance in any former degrees so named, which appears to justify the claim that it is American in origin. This degree has been, and to some extent still is, a rather controversial subject. It is conferred as one of the regular Cryptic Rite degrees in some jurisdictions, whereas the others confer it as an honorary degree only; in some instances, separate Grand Councils of Super Excellent Masters have been formed. The degrees of the Council of Royal and Select Masters are necessary to fully complete your education in Ancient Craft Masonry. The degrees of our Masonic system are not chronologically arranged and in the degrees of Royal and Select Master, which many believe, are the most beautiful and impressive of all, you learn of additional incidents in the building of the first temple. During these degrees you represent the Master Builder, Hiram Abiff, and learn why the word was lost and the secret of its preservation and recovery. The Super Excellent Master degree, though having no connection with Ancient Craft Masonry, is a vivid dramatization of truth and fidelity and never fails to impress those who witness it, either for the first time or after many times. The degrees of the Council will enable you to more fully understand your third degree of Symbolic Masonry and the degree of Royal Arch. This section is taken freely from Mackey's Symbolism as written in Chapter XXXI of "The History of the Cryptic Rite." It is not written verbatim, but rather was adapted to the form of our present day ritual. Symbolism from other authors has been incorporated. It is the belief of the Grand Council, that if our members understand the beautiful symbolism of our Order, they will become better members of their subordinate Councils. We encourage you to study and learn more about our great Order, as it is not possible to include everything of interest or importance in this brief synopsis. We learn in the Royal Master degree, that there was an agreement among our three Most Excellent Grand Masters, that the word would not be communicated to the Craft until the Temple was completed, and then only in the presence of all three. We learn in the Master Mason degree, how the Word was lost, and in the Royal Arch degree, how it was recovered. In the Symbolic degrees, we have an account of the loss of the Word, and we search but do not find. In the Chapter, we search and find, but do not understand the significance of what we have found. It is left to the Cryptic degrees for enlightenment and explanation, to learn how the Word was preserved, and what it means. In the Royal Master degree, we learn that whatever may be the uncertainties of life, the reward is sure to the faithful Craftsman. In the Select degree, we learn that the Word is to be preserved in the Secret Vault of the Soul. While in the Super Excellent Master degree, we find that catastrophe overtakes the unfaithful, whether he be a prince or pauper, and that without fidelity, success is impossible. The Degree of Royal Master symbolizes a Fellowcraft in search of more Masonic Light. His efforts are eventually rewarded and he is admitted into a select fellowship that has been entrusted with Cryptic secrets not yet available to the majority of the craft. However, as Devine truth can only be fully perceived by those who have attained an advanced state of spiritual awareness, the Fellowcraft, now a Royal Master must continue his quest until the Temple is completed. This degree is held in the Council Chamber, and represents the private apartment of King Solomon, in which he is said to have met for consultation with his two colleagues during the construction of the Temple. Its symbolic colors are black and red -- the former being significant of grief and the latter of martyrdom -- and both referring to the chief builder of the Temple. The period of time referred to in the first and second sections of the degree is different. In the first section, Hiram Abif is active in the construction of the Temple. In the second section, he is missing and the Temple is very near completion. This is evident by the presence of the Ark of the Covenant and the investiture of Adoniram with the responsibility of the Master Builder. His search is not complete as he is instructed that in due time he will receive his reward, and is returned to the Clay Grounds to continue his labors. The Beautiful Piece of Work (brought up by Adoniram), represents a pure and complete life, offered to the Supreme Architect of the Universe, followed by an admonition to remain content and in due time we shall receive our reward. The reward will come after our life has been completed, and is further symbolized by our entry into the 9th Arch, after completing all the symbolic instructions of Ancient Craft Masonry. The 9th Arch is usually considered the symbolic Gate of Death. It is now high twelve, an appropriate time to cease our labors and commune with the Supreme Architect of the Universe. The number twelve is considered a sacred number in Mythology. It is explained by some as being the product of multiplying the three-sided triangle by the four-sided square. The triangle represents the three equal attributes of Deity; His Omniscience, Omnipresence, and Omnipotence (Universal wisdom, peace, and power). Low twelve consists of the same numbers, but represents death, or the midnight of life. Hiram Abif passes from the spiritual trestle board to the temporal trestle board, where the eager candidate, who is still pursuing his search for Divine Truth, meets him again. Then he delivers the commentary on death, moving slowly around the room, going in the same manner and direction as the sun. He explains that all men are equal in the eyes of God, from the youngest Entered Apprentice, to King Solomon. As the first light of day comes from the East, we are taught to look to the East for enlightenment. The step symbolizes reverence toward the Alter. We alternate steps as we pass through the degrees, up to, and including the Royal Master degree. It is believed this has an allusion to the path of the Sun crossing the Northern and Southern Hemisphere, between the two signs of the zodiac, Capricorn and Cancer, in a zigzag motion. When the two hemispheres are laid out end-to-end, with two parallel lines on the sides, it forms an oblong square or the shape of a Lodge. In the sign, Alpha is the first, and Omega is the last letter of the Greek alphabet, equivalent to the beginning and the end of anything. Alpha and Omega is adapted as a symbol of Deity. This passage was at one time read from the Apocalypse during the circumambulations, but is now read from the book of Revelations. The equilateral triangle represents our three Grand Masters at this point in the ritual. The broken triangle represents the allegory of life. Some must go, and other must remain and carry on. The number seven was sacred in Hebrew Scriptures and ceremonies. The seventh day was the Sabbath day; Solomon was seven years in the building of the Temple; there are usually seven sabbatical years; seven days usually constituted the feast periods; and seven represents completeness. In the Temple, twelve loaves of bread (shewbread) were always kept upon a table in the sanctuary (representing the twelve tribes of Israel). It was a symbol of the bread of eternal life by which we are brought into the presence of God. The principal article of furniture in the Temple of Solomon at Jerusalem was the Ark of the Covenant. The Cherubim surmounted it and between the wings of these fabled characters was the Shekinah, or perpetual cloud, from which the bathkol issued when consulted by the High Priest. The Altar of Incense was made of wood and overlaid with gold, as was most of the furniture of the Temple. On the four corners were horns, in shapes like those of ram's horns. A censer was placed on the top center of the Golden Altar, and in it sweet incense was burned every morning. On the table of Holy Vessels were pots, shovels, basins, flesh-hooks, and fire pans, as well as all the other vessels or utensils necessary to the services of the Altar. These were made of gold and brass. The Degree of Select Master completes the education of the craftsman with regard to the concealed mysteries of Ancient Craft Masonry. It explains how the secrets, which were found in the Royal Arch Degree, were preserved. He to complete his spiritual building presents the candidate with additional teaching, which will require future application. This degree commences with a character by the name of Zabud. Zabud was a friend of King Solomon, and appears in several of the Masonic degrees. To most of our membership, Zabud is but another character out of the past. Yet a reading of the Holy Scriptures reveals that he was truly the friend and companion of King Solomon, for Zabud was one of the sons of Nathan the Prophet. Nathan was the chief advisor of King David, and it was through the strategy of David, Nathan, and Bath-Sheba that Solomon came to the throne of Israel, for the natural heir to the throne should have been Adonijah. Zabud must have been about the same age as Solomon, and probably frequented the Royal Court where he acquired the friendship and favorable notice of Solomon, later developing into a friendship, which caused King Solomon to refer to Zabud as "my particular friend and favorite." The Deputy Master refers to the number 27 which is also alluded to in the closing ceremony. Although the closing ceremony states it a little differently, some authors believe that 27 members were made up from one of each of the twelve tribes of Israel, the three workmen who discovered the triangle hidden by Enoch before the flood, nine Grand Masters of the Arches, one of whom was Ahishar, and our three Grand Masters. The Select Master degree, or the building of the Secret Vault, took place between the first and second sections of the Royal Master degree. This is explained by saying that the secrets of the Select Master degree were not brought to light until long after the existence of the Royal Master degree had been known and acknowledged. In other words, to speak only from the traditional point of view, Select Masters had been designated, had performed the task for which they had been selected, and had closed their labors without ever being recognized as a class in the Temple of Solomon. Their occupation and their very existence, according to legend, were unknown in the first Temple. Whether the punishment meted out to Ahishar was deserved, we should not question, for the story is but a legend, teaching us that constant watchfulness is necessary in waging the warfare of life, and only those shall succeed who are constantly on guard. Considered simply as a historical question, there can be no doubt of the existence of immense vaults beneath the superstructure of the original Temple of Solomon. Legend has it that Josiah, foreseeing the destruction of the Temple, commanded the Levites to deposit the Ark of the Covenant in this vault, where it was found by some of the workmen of Zerubbabel, at the building of the second Temple. Masonic legend, whether authentic or not, teaches that there was an Ark in the second Temple, but that it was neither the Ark of the Covenant, which had been in the Holy of Holies of the first Temple, nor one that had been constructed as a substitute for it after the building of the second Temple. It was that Ark which was presented to us in the Select Master degree, and which, being an exact copy of the Mossical Ark, and intended to replace it in case of its loss, is best known to Freemasonry as the Substitute Ark. In the Masonic System there are two Temples; the first Temple in which the degrees of Ancient Craft Masonry are concerned, and the second Temple, with which the higher degrees, especially the Royal Arch, are related. The first Temple is symbolic of the present life; the second Temple is symbolic of the life to come. The first Temple, the present life, must be destroyed; on its foundations, the second Temple, the life eternal, must be built. And so we arrive at this result, that the Masonic Stone of Foundation, so conspicuous in the degree of Select Master, is a symbol of Divine Truth, upon which all Speculative Masonry is built; and the legends and traditions which refer to it are intended to describe, in an allegorical way, the progress of truth in the soul, the search for which is a Mason's labor; and the discovery of which is to be his reward. The Degree of Super Excellent Master is not a Cryptic Degree. However it is placed here to prepare the candidate historically for the Order of the Red Cross, which is the first of the Commandery Orders. It teaches the candidate to Walk in Faith, Promote Friendship and Practice Fidelity. In 598, Nebuchadnezzar, King of Babylon, besieged Jerusalem, captured the city and took into captivity the King, Jehoiachin (Jeconiah). He replaced him on the throne with Mattaniah, the youngest son of Josiah, and an uncle of the former King, who was but twenty-one years old. Nebuchadnezzar changed Mathaniah's name twice, although the reasons as to why are not clear. First to Mattaniah, which means "gift of Jehovah" and then to Zedekiah, which signifies "Jehovah is righteous." As one of the conditions of his enthronement, there was extracted from him a solemn oath to be subject and loyal to his King and to Babylon. Being subjects of Babylon, naturally there were powerful parties in court determined to throw off the yoke of the "barbarian" ruler, and, in order to accomplish this, favored an alliance with Egypt. It is natural that this palace clique and the priestly circle should favor Egypt. The civilizations of the Nile were a dying one, but its rulers and its aristocracy were living in wealth and luxury, blind to the ominous forces threatening their existence. The royal crowd of Jerusalem was of like character, and attracted by the same glitter and pretense. Against this royal party was arrayed the strength, courage, and oratory of Jeremiah of Anatoth, the prophet, a descendant of one of the earlier High Priests of the Jews, and a small group of followers, who advised submission to Babylon as the only means of preserving national entity, and claimed for his position that he had direct command, and approval of Jehovah himself. Into this maelstrom of contending and conflicting forces was plunged a young man of twenty-one, immature, inexperienced, over-shadowed for years by his princely relatives, lacking in strength of character and resolution. To be sure, at times he showed an inclination to follow the voice of the prophet, but it was an inclination, which he did not have the strength and resolution to pursue through to the bitter end, in the face of intrigues, and the influence of royal favorites. The story of his struggle with Jeremiah, his yielding to him on occasion, his later stiffening of his neck in opposition to him, his punishment of him, and of the conflict between Jeremiah and the petty dignitaries of the court, is a fascinating one, and it gains much in its appeal as it is portrayed in the degree of Super Excellent Master. The fourth, and last, of the York Rite Bodies of Masonry, Commanderies of Knights Templar serves as the crowning glory in completing the Christian Path towards Masonic Light. This is the only recognized Masonic Body that has religious connotations, since it is based on the Christian Religion and virtues. As a consequence, while not all Masons will become Knight Templars, every Christian Mason should to complete his Masonic journey. Today's Knight Templar is a man dedicated to the living Christ, and the defense of the virtues contained in the practices observed by all true Christians. In the Commandery, there are three 'degrees' or steps, which are called Orders. These are The Illustrious Order of the Red Cross, The Mediterranean Pass and Order of Malta and The Order of the Temple; after the Orders of Knighthood and Chivalry as known in Europe before the reformation. Hence, we are called Chivalric Masonry. The Order was founded in Jerusalem in 1118 by Hughes de Payens Geoffroy de St. Omer and seven other French knights. It was consecrated to the protection of pilgrims and the defense of the Holy Land. The founding knights took monastic vows and were known as "The Poor Knights of Christ". King Baldwin II, the French King of Jerusalem (1118-1131) installed the Order in a part of his Palace, on the site of Solomon's Temple, for their residence, stables and armory, from which it took its name of Knights of the Temple or Templars. At the Council of Troyes in 1128 Pope Honorius II, who gave it the strict Rule dictated by St. Bernard, a monk of the Cistercian Order who became the first Abbot of Clairvaux, confirmed the Order. The Knights also received the white mantle as a symbol of purity of their life, to which in 1146 Pope Eugenius added the red Templar cross. The Order's battle honors in defense of the Holy Land were many. Following the fall of Jerusalem in 1187 the Templars withdrew to Acre. They remained at Acre with Grand Master William de Beaujue until 1291 when the city was captured and he was killed. The surviving Templars, with their new Grand Master, were the last to leave the city. The Order withdrew to Limmasol, Cyprus and had its Headquarters at the Temple Monastery in Paris. After many years of sacrifices and rendering services to both Christianity and civilization, this very rich and powerful Order excited the envy and greed of others. The principal malefactor was Philippe le Bel, King of France, who was financially indebted to the Order. In 1307 Philippe arrested all serving Templars in France with the intention of sequestrating all the Order's possessions. However, these were hidden in a secret place and have never been found to this day. Not able to judge the Order himself, (it was only answerable to the Pope) Philippe set about to coerce the Pope to suppress the Order, but the Pope refused. Whereupon, the king dismissed him and created his friend, the Bishop of Bordeaux, Pope Clement V, who readily issued a Bull suppressing the Order in 1312. The Order then reverted to its original status of a Secular Military Order of Chivalry. Only in France were the Templars treated with any severity, with Grand Master Jacques de Molay and others burnt at the stake in March 1314 on an island in the Seine. In England, Edward II (a patron) at first did not take any action against the Order, but finally, he allowed the inquisitors to judge the Order at the Church of All Hallows By-the-Tower. Edward then set about reclaiming English Templar lands and possessions including the London Temple, rather than passing them to the Hospitallers. After Edward's actions The Templars sought refuge in Scotland where they were welcomed. Prior to his martyrdom in 1314 Grand Master Jacques de Molay invested Jean-Marc Larmenius with his powers. Larmenius was unanimously recognized as the new Grand Master following de Molay's death. He gathered together the dispersed remnants of the Order and in 1324 gave the Order the Charter of Transmission. This Charter is still one of the governing documents of the Present Order. The Order continued in secret with an uninterrupted line of Grand Masters until 1705. In March of that year a number of French nobles held a convention of Templars at Versailles. They elected Philip, Duke of Orleans, later Regent of France, as the Order's 41st Grand Master. Thus as Regent of France and Grand Master of the Temple it provided an official renewal and legitimization of the Order of the Temple as a Secular Military Order of Chivalry and also its right to resume the use of "sovereign" in its title. After the death of the Duke of Orleans in 1723, three Princes of Bourbon were Grand Masters of the Order until 1776. That year the Duke of Cosse Brissac accepted the Grand Mastership and remained in office until his execution during the French Revolution in 1782. Having foreseen the coming events he passed on the Order's archives and the Charter of Transmission to Radix de Chevillon. The Order survived the Revolution and went through a period of prosperity in France during the early C19th with many people of high office asking to be admitted. Between 1818 and 1841 the Order expanded greatly with over 20 Convents in France and Priories set up in Great Britain, Germany, Belgium and Switzerland. Legations were also established in Sweden, Brazil, India and in New York. In 1940 when France and Belgium were invaded by Nazi Germany, Emile Joseph Isaac Vandenburg who lived in Brussels was Grand Master. In order to safeguard and ensure the survival of the Order he handed over his rights to a Portuguese neutral, a nobleman, Count Antonio Campello Pinto de Sousa Fontes who became the Regent pending an election of a Grand Master. Since these times many Grand Priories have claimed Autonomous status. However, in 1989 an International Federative Alliance was formed with the intention of electing a new Grand Master. The Sovereign Military and Hospitaller Order of St John of Jerusalem, called of Rhodes, called of Malta (generally known as the Order of Malta), came into existence between c. 1080 when a hospital for pilgrims was established in Jerusalem near the Abbey of St Mary of the Latins, and 1113, when the hospital, its administrators and dependencies were recognized by the Pope as an Order of the Church, dedicated to the care of the sick poor. Half a century after its foundation it assumed military as well as Hospitaller functions, and by 1200 it was playing a major role in the defense of the Christian settlements in Palestine and Syria which had been set up by the Crusaders. From its origins it was endowed on a massive scale in Western Europe and it developed an international structure to manage these properties for the benefit of its work in the East. Driven from Palestine with the rest of the Catholics in 1291, the Hospitallers of St John took over the island of Rhodes, off the coast of Asia Minor, which became their base for naval operations against Muslim shipping. They ruled the island as a semi-independent state until 1522. They were then given the island of Malta, which they held until 1798. During the centuries of the Order's government of Rhodes and Malta it became recognized as a sovereign power. With the loss of Malta the order's military functions ceased, and Hospitaller work again became its only duty. It moved its headquarters to Rome in 1834. It is still regarded by many states (though not by all) as a sovereign subject of international public law. The seat of the Grand Magistracy in Rome, under the present Grand Master, HMEH Fra´ Andrew Bertie, has the right of extra-territoriality recognized by the Italian state. The Commandery orders represent a new direction of Masonic thought and experience, in that they no longer refer to Ancient Craft Masonry, but to ideals and practices of chivalry and Christianity. The first Commandery order, the Illustrious Order of the Red Cross, presents the story of the Jewish Prince, Zerubbabel, and his efforts to secure permission of the Persian King Darius to rebuild the second temple at Jerusalem. The next order, Knight of Malta, is a complete departure from Masonry based on the Old Testament and is the first Christian order. Here, the candidate represents a knightly warrior of the Crusades prior to his departure for the Holy Land. The last order is that of Knight Templar, the crowning glory of the York Rite system. Again, in this totally Christian order, the candidate represents a knightly postulant who desires to unite with a Commandery of Knights Templar during the era of the Crusades. After several trials to test his faith, courage, and humility, achieving his desire rewards him. Let us consider these orders in more detail. The Orders of Knighthood, the Commandery of Knights Templar, are three in number. The Order of the Red Cross, The Order of Malta, and The Order of the Temple. Each of these portrays beautiful and impressive lessons and explains the Christian interpretation of Freemasonry. This order consists of two sections: (1) Zerubbabel's (the candidate) admission to the Jewish Council at Jerusalem, in which he is invested with permission and authority to travel to Babylon and attempt to obtain leave from King Darius to stop the enemies of the Jews from hindering their progress in building the Temple, as well as to recover the holy vessels of the Temple which were taken as booty to Babylon by King Nebuchadnezzar when he destroyed the First Temple. Zerubbabel is also given a sword to defend him; a sash to remind him of his cause; and a password to get him by Jewish sentinels on his journey. Unfortunately, he is captured and made prisoner upon reaching the domains of King Darius. (2) At the court of Darius, Zerubbabel renews his earlier friendship with the king, and is granted a position in the royal household. He then participates in a friendly contest with other nobles of the realm regarding the question: " Which is greater? The strength of wine? The power of the king? Or the influence of woman?" Zerubbabel contends for the latter, and adds an additional factor: The force of truth. After delivering his declamation on women and concluding in favor of truth above all, Zerubbabel is declared the winner of the contest and is granted his desires by the king. To perpetuate the occasion, Darius creates a new order, the Illustrious Order of the Red Cross, and after an obligation, makes Zerubbabel its first member. Next follow the signs, grips, and words as well as a historical lecture. The body is called a Council. The cornerstone of this order is the all-important attribute of truth, and the importance of keeping one's word. It foreshadows the words of Jesus: "I am the Way, the TRUTH, and the Life." This Order actually consists of two: The Order of St. Paul, or the Mediterranean Pass, which is a preparatory order, and the Order of Malta itself. The Order of Malta must be conferred in either full or short form. The full form is quite elaborate and beautiful but, alas, is not conferred by many Commanderies. The short form is but a summary of the lessons taught in the full form, and this is what I will describe here. The Order of St. Paul is based on the story of Paul's shipwreck on the island of Melita (Malta). The candidate represents a knight about to depart for the Crusades in the Holy Land. He receives sustenance, both spiritual and physical, to prepare him for the ardors of his journey. The Order of Malta is a suitable preparation for the Order of the Temple, in that it provides the candidate with additional New Testament instruction, particularly in the eight Beatitudes. The symbol of the order is the Maltese cross, symbolic of the Beatitudes and the eight languages, which once were spoken by its members. The candidate is created a Knight of Malta and invested with words and signs specific to the Order. The body is called a Priory. This Order begins with the candidate, a Knight of Malta, who, after soul-searching reflection and suitable answers to certain questions, seeks to unite with a Commandery of Knights Templar. To test his faith, his directed to perform a certain number of years of pilgrimage. Being full of zeal and wishing to accomplish more useful deeds, he requests and is granted remission. He assumes a most solemn obligation, and then is obligated to a certain number of years of knightly warfare, as a test of his courage and constancy. Having satisfactorily performed these, he is admitted to the Asylum of the Knights Templar, where he is a participant in certain memorial exercises to KS, HKofT, GMHA, and Simon of Cyrene. Accompanying these exercises is a reading of New Testament scripture and an inspirational slide presentation. He is then required to perform a time of penance in token of his humility. Following this, he seals his membership in the Order in the most solemn, impressive and binding manner, and is duly dubbed a member of the Valiant and Magnanimous Order of the Temple. Again, he receives certain signs, grips, and words, as well as an explanation of the important accoutrements of Templary, the Grand Standard, Baldric, Beauceant, Sword, and Spur. The body is called a Commandery. The relevance of this sublime Order to the Christian Mason can scarcely be overstressed. It provides a vivid connection between the Craft and Christianity. Especially relevant and meaningful is the address given by the Prelate during the course of the ceremonies. A Knight Templar Commandery has 12 officers, in order of rank: Eminent Commander, Generalissimo, Captain General, Recorder, Treasurer, Prelate, Sr. Warden, Jr. Warden, Standard Bearer, Sword Bearer, Warder, and Sentinel. Some jurisdictions also have a Marshal. Members are styled "Sir Knight". At least 9 Knights must be present to open a Commandery. Commanderies usually meet monthly. The state governing body is the Grand Commandery. The national body, to which Grand Commanderies must belong, is the Grand Encampment of Knights Templar of the United States of America.